As much as I love cooking and experimenting with flavours, I do sometimes think that I play it too safe and am not adventurous enough with my meals. I guess, in part, it is because I have a fussy family and I would hate to cook a meal using new ingredients, that are not tried and tested, only for my finished creation to be unliked and thus not eaten! 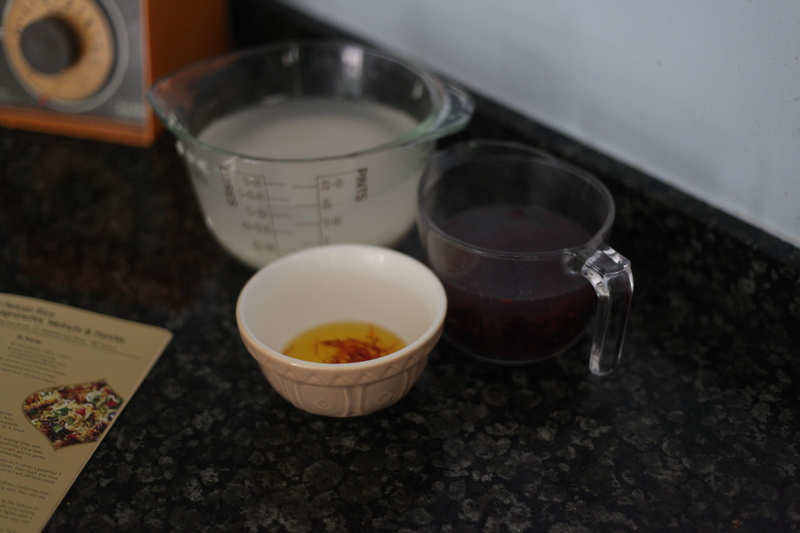 This is the reason why when I am asked if I would like to review a food product which involves trialling a new recipe which includes flavours I do not cook with and/or have never eaten before, I like to say yes so I get the opportunity to try them. 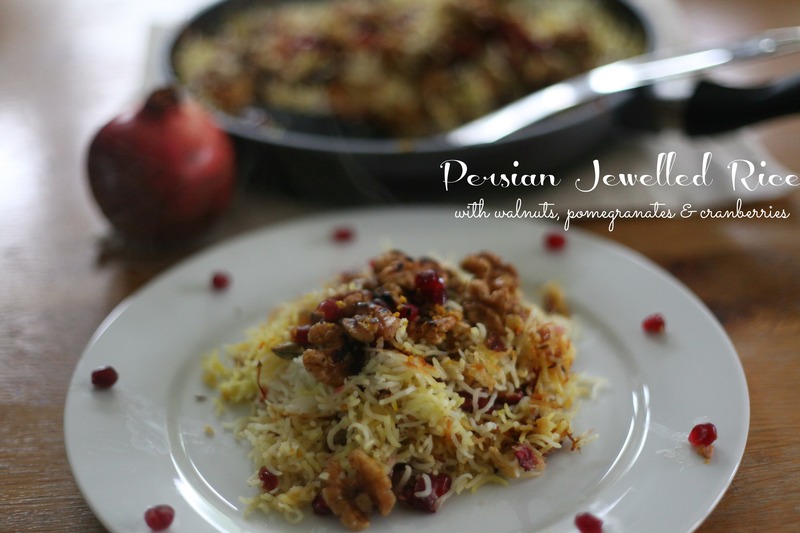 For example, cooking a Persian style dish which incorporates rice with nuts and fruit and spices, I might normally use in my cakes, is a whole new cooking and eating experience for me and one I was looking forward to sampling. 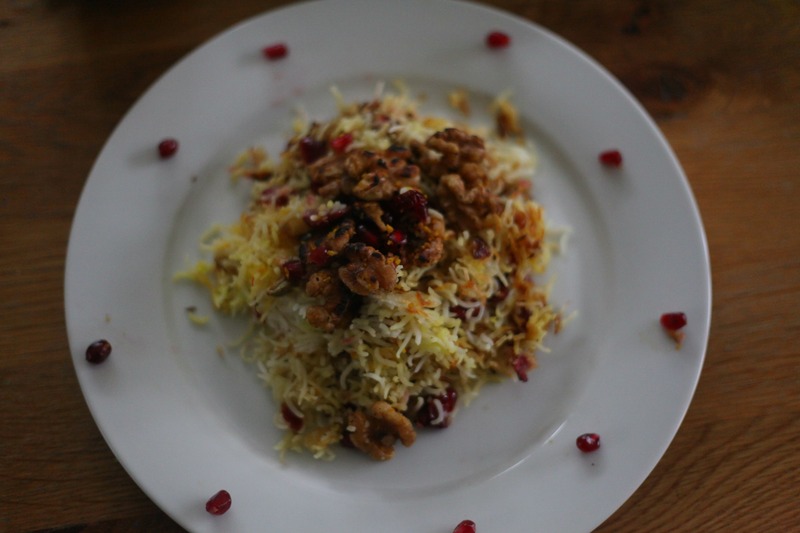 Amira Rice sent me the recipe and all of the ingredients required to make Persian Jewelled Rice with Walnuts, Pomegranates and Cranberries . The recipe was easy enough to make, although it did take a little longer than I had anticpiated and my lunch was served a little later than I had planned last Friday!! However, with a little more planning on my part (ie. reading the method sooner!!) this is a meal that can be made for your family and it would also make a lovely dinner for a special occasion as the flavour is superb. I have never toasted walnuts before but it really brought out their flavour and made them so much nicer than just eating them straight from the pack, or as decoration on a coffee cake! 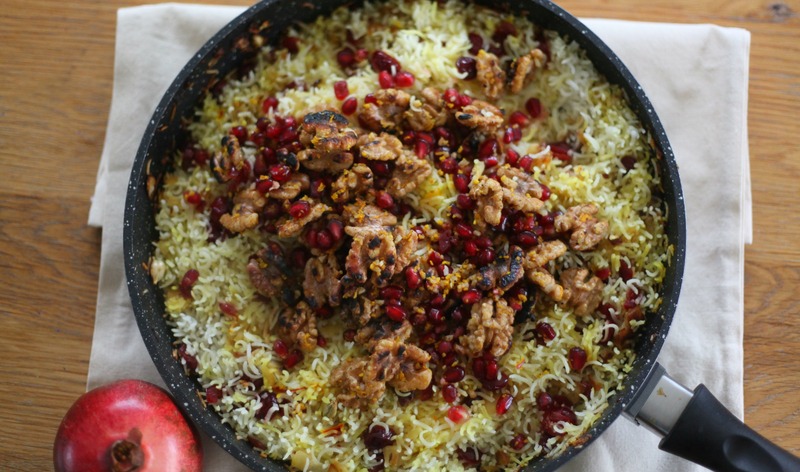 I also loved the vibrancy of the colours made by the fruit in this recipe : the juicy ruby coloured pomegranates, the bright orange zest and the red cranberries with the saffron stained rice, really made for a very pretty plateful of food. Would I make this dish again? I was sent a pack of ingredients for the purpose of making this recipe. 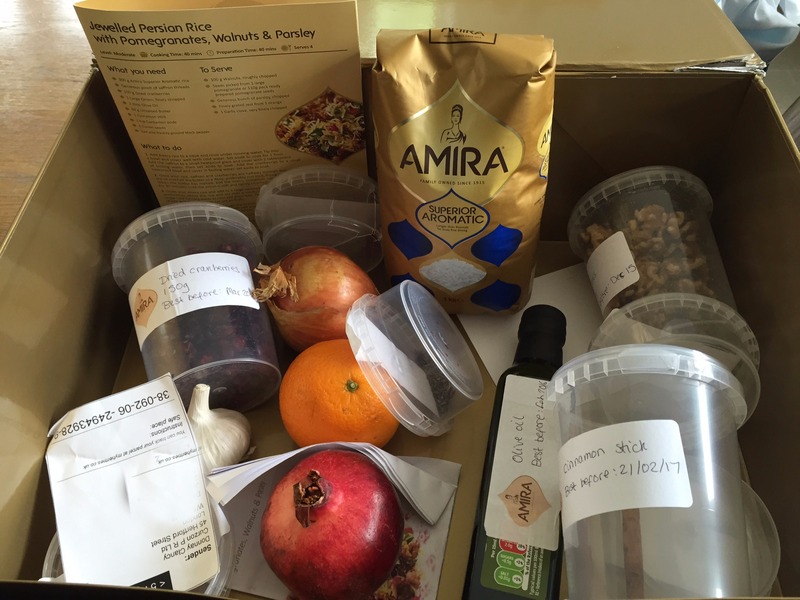 For more information regarding Amira rice please see here. 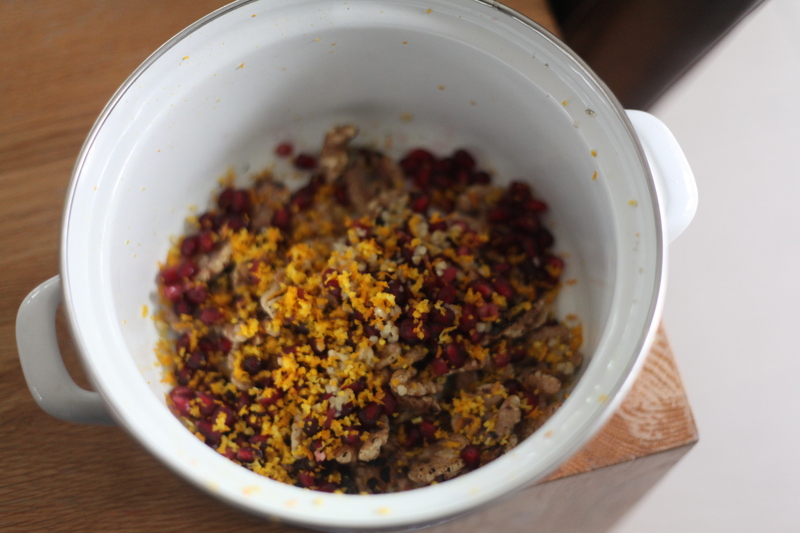 That looks lovely….apart from the pomegranate , which are one of the very few foods that I’ve never liked. Spicewala store has a selection of fragrant and aromatic tea varieties are the perfect way to unwind and relax and you can also order tea online uk. They come freshly packed, beautifully presented, and are guaranteed to put a smile on your face in the morning, after work, or just before bed.